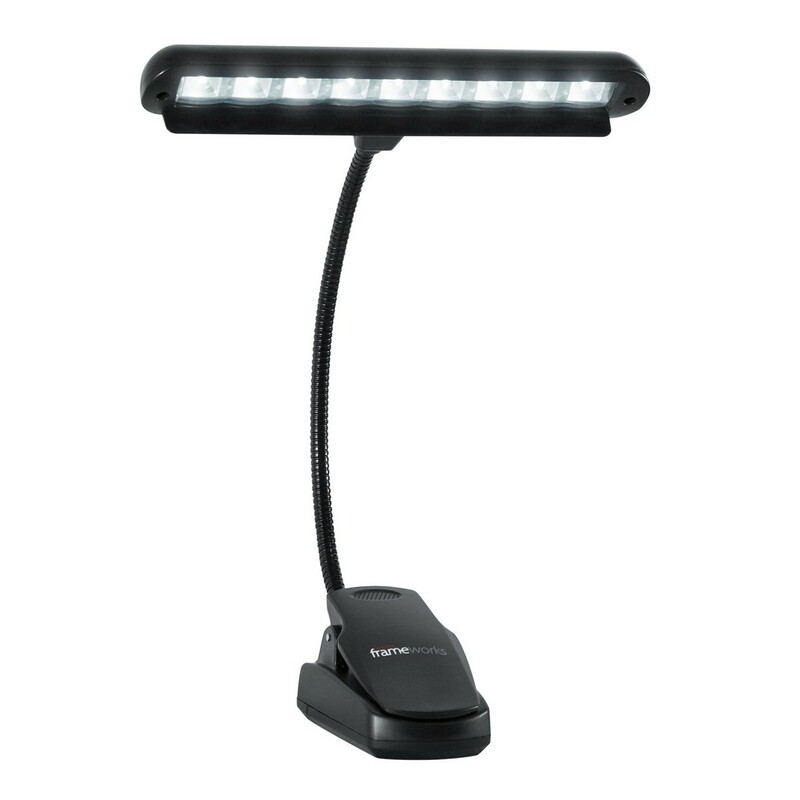 The Frameworks LED Lamp is perfect for musicians and sound engineers alike, providing illuminance in dark environments. 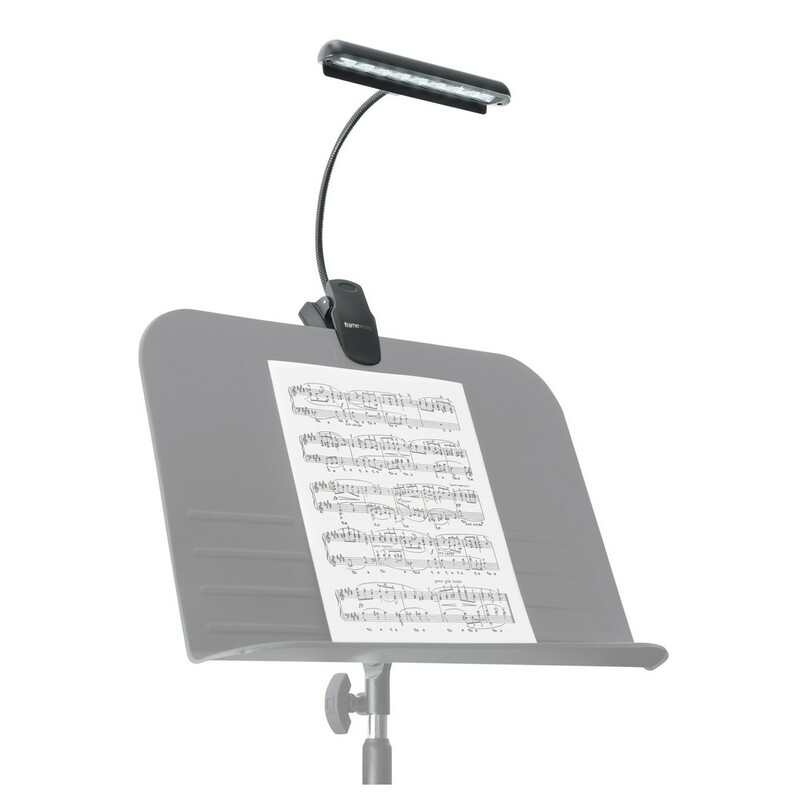 Featuring a convenient clamp design and a flexible gooseneck, the Frameworks Lamp can be used with sheet music stands, pedal boards, pianos, mixers and more. 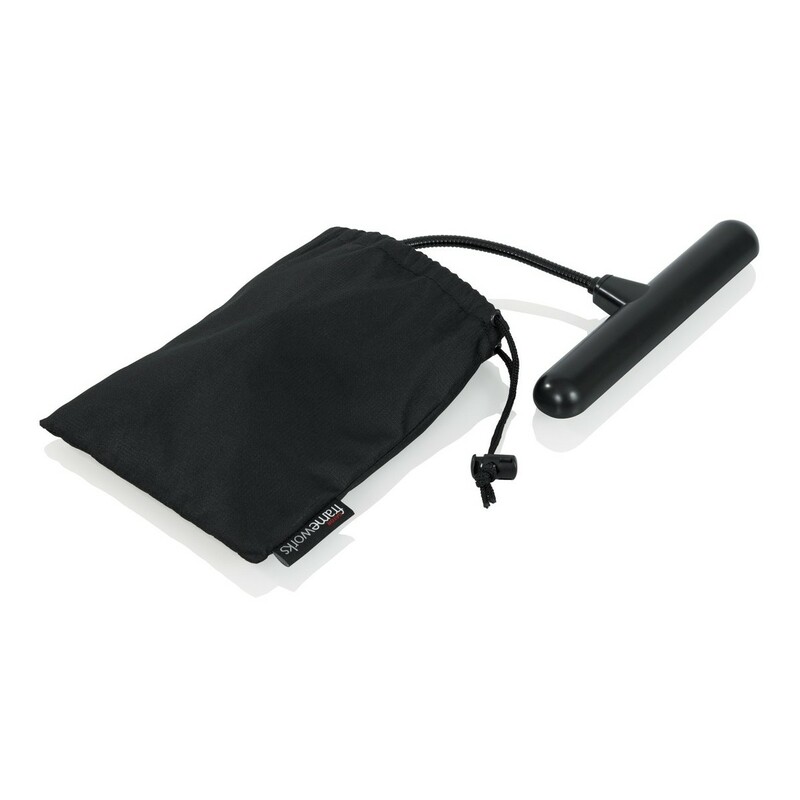 The Frameworks GFW-MUS-LED LED Lamp is powered via AA batteries or USB and comes supplied with a nylon drawstring bag.